Paul Urban and Friends is a Tidewater Roots and Blues Band which includes jazz influences in it's music. 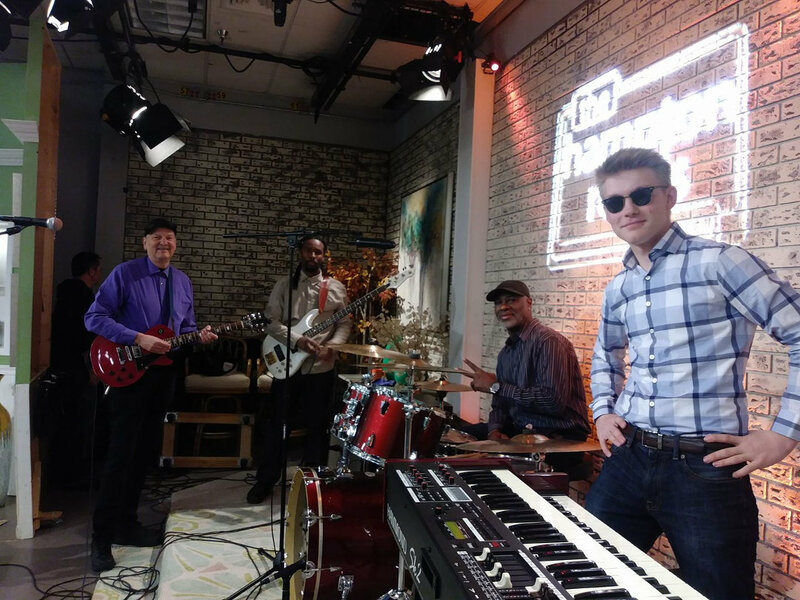 Paul Urban is a familiar name in the Tidewater music scene, most recently performing in the prominent blues band Urban Hill for the last four years. With the formation of Paul Urban and Friends, Paul is moving into a more diverse musical direction. During the past four years, Paul has performed at The Williamsburg Winter Jazz and Blues Festival, The Sandler Center for the Performing Arts, The Henrico Theater, The Hampton History Museum, The Smithfield Wine and Brew Festival, The Stockley Gardens Arts Festival, The Phoebus Spring Fling, The Bay Days Festival, Gloucester Main Street Blues and Brews Festival, as well as countless Tidewater nightclubs and restaurants. His music is also featured on local radio stations WHRV FM, WFOS FM and WCVE FM. Connect with us on Facebook at Paul Urban and Friends. The band is fronted by guitarist and vocalist Paul Urban. Joining him are Julian Burrell on bass, Dwight Epps on drums and 16-year-old keyboard wizard Tyler Bevington. Mr. Urban is currently recording a new CD titled "Paul Urban and Friends". The CD will consist entirely of original material and will feature a mix of blues, rock and jazz. Check out the mp3 attached here! Paul Urban & Friends would make an excellent entertainment choice for your festival or performance venue. Also available as a duo. Please feel free to contact me if you feel we could be of service.